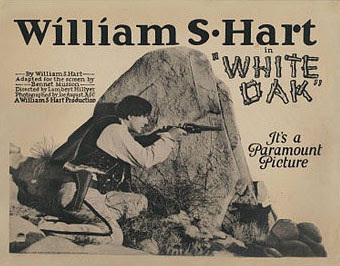 WHITE OAK (1921) --- Oak Miller with a gun is my idea of hell, says a badman pursued by avenging angel Bill Hart in this Paramount western the star wrote. Bill with a pen could be just as lethal, but fans will forgive occasional mish-mashing of narrative. Certain themes drew Hart to repeated exploration, one being a sister's honor and odysseys to protect it. In event of failure at that comes retribution, dealt with messianic fury by steel-eyed Bill. 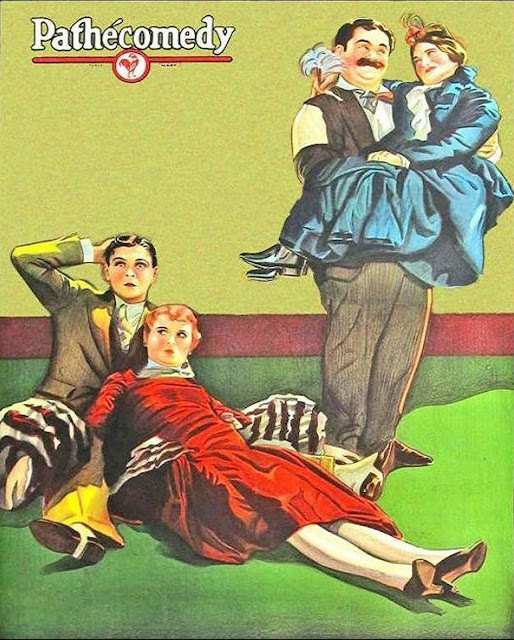 White Oak's villain merely threatens defilement and skittish sister leaps off a riverboat to lingering death from there, ordinarily a device to sustain six reels that follow, but Hart and scenarists gild proceedings with sub-plots to include another character guarding good name of his sister. Pretty soon I got befuddled and let Bill's sixers do thinkin' for me. White Oak has bonus of a wonder dog that digs Hart out of jail from the outside (good boy!). WSH had love of animals and it's happy I always am to see him in their company. 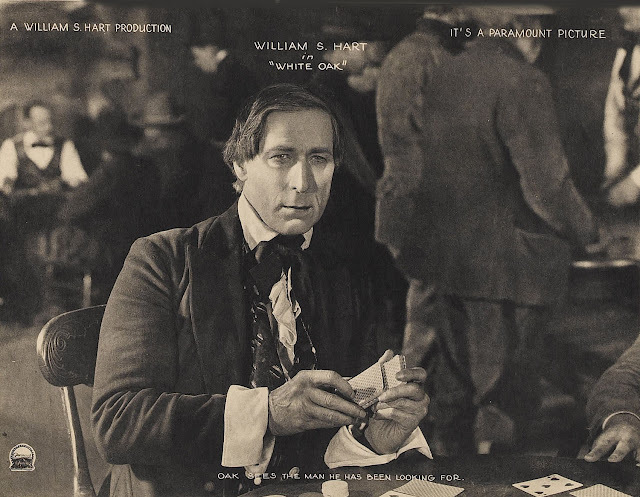 This time instead of traditional cowboy garb, there is gambler man Hart in frock coat and stovepipe topper, making him stand really tall amidst saloon extras. Injuns attack a wagon train and Bill picks them off like quail from a nearby rock. Paramount by now must have been pushing him to up the action quotient, as White Oak goes heck for leather oftener than I recall in Hart's earlier stuff for Tom Ince. Grapevine Video offers this on DVD with a nice organ score by David Knudtson. My being such a hound for Hart means springing for any of his that turn up. Maybe someday there'll be a much-deserved box set for this greatest of screen cowboys. THE WHISTLER (1944) --- First in the Columbia series spun off radio's continuing drama, being stories of capricious fate with Richard Dix a common thread, but never twice the same character. The Whistler posits him as bereaved husband who arranges to have himself bumped, then tries cancelling the order when word comes of his wife being alive. These pics tend to be clunky as to structure and pace, but a window to Columbia B-making, their backlot like panels in a comic book, replete with Ajax Warehouses and waterfront dives with all but "Waterfront Dive" painted on fronts. Speaking of comix, Billy Benedict, as messenger boy for assassins, is ID'ed right away as a simpleton via shorthand of a Superman mag he reads. Far as adults then figured, such was for kids and dopes (tell that to intensely-engaged Dark Knight risers). 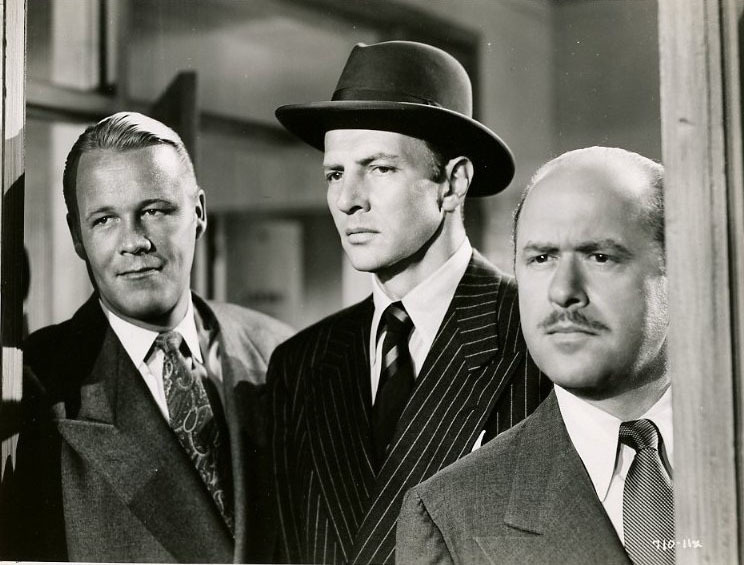 Dix is quiet in The Whistler as opposed to bombast of prior talkers, letting J. Carroll Naish steal the show as an intellectually curious hit man (the latter's by-play with co-conspiring Alan Dinehart is a particular highlight). William Castle directs. I don't know if he just flipped the camera on, or planted oddballs in evidence here. Either way, it's an hour you could spend worse. TCM's broadcast from a Columbia HD master is a beaut. 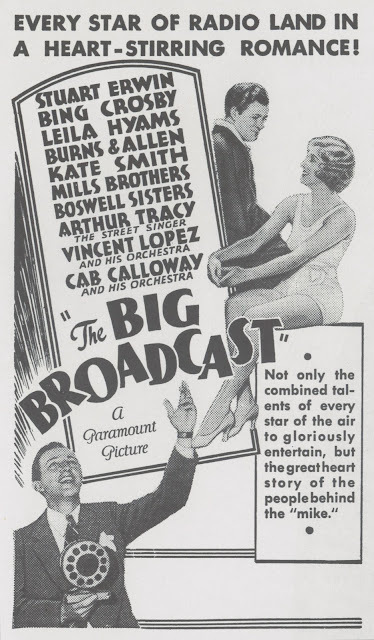 THE BIG BROADCAST (1932) --- Radio nuts in bloom, as Paramount exploits close tie with broadcasting and puts then-idolized voices before cameras for, in several cases, a first time. Bing Crosby, as Bing Crosby, stars. I'd have liked him singing more and Stu Erwin clowning less. Erwin talks slow, and that was deadly to already pokey early talkers. Performance scenes are great --- Cab Calloway, Kate Smith, Vincent Lopez, others. Cab's drug-celebratory number could as easily wow Saturday Night Live's audience in the mid-seventies, before Just Say No clamped down on such. Crosby's himself character is a bit of a louse at times. Were writers guided by then-impression of offscreen Bing? Either way, he's the electricity that powers this broadcast. Watch any of what he does here and know why Crosby took off like meteors and stayed aloft till a 70's end. Was BC's magic his everyman appeal? Thick in the middle, bat ears, thinning hair ... any of us could imagine being Bing given the voice, quite forgetting personality behind it. For all of Crosbys Universal put out on DVD, it's a crime they overlooked this one. ARSENE LUPIN RETURNS (1938) --- It's 1938, and jewel thief Arsene Lupin has gone straight in observance of French law and the Production Code. 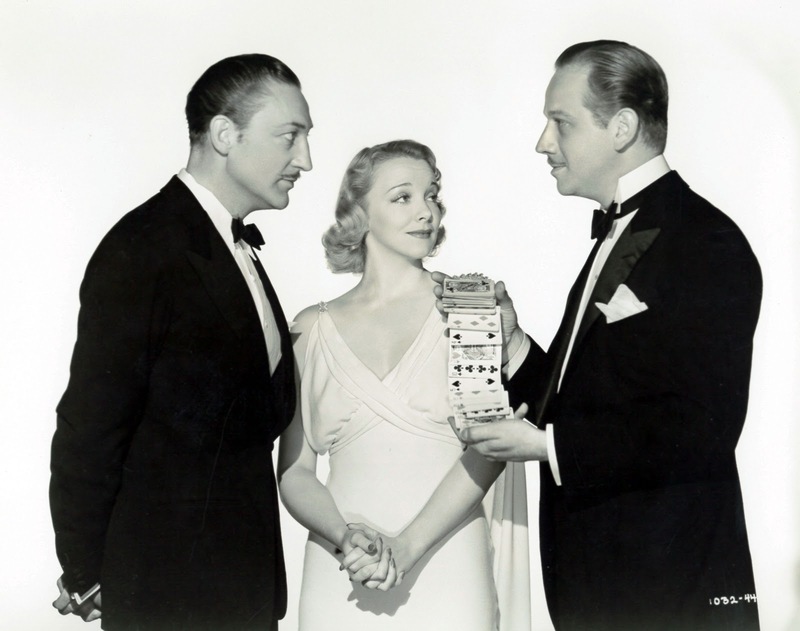 This character, like others spun off crime and detection, was modified to popular model that was The Thin Man after that series filed patent on a mix of sleuthing and screwball. 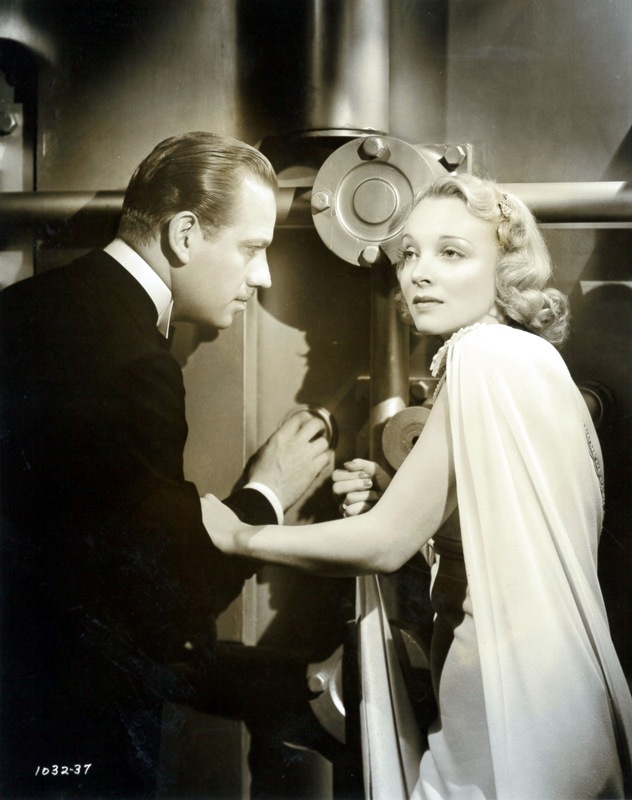 Melvyn Douglas as Lupin is adequate, though Powell would have done better, as John Barrymore certainly had in 1932 when cat burgling was less punishable. There are now comic confederates from a non-specific criminal past to assist Lupin's do-gooding (the Code such a cheat for tidy clean skirts he'd now wear). Law-enforcing is Warren William's part, speaking of criminal past. WW's mere presence could imply crook motives even when wearing a badge --- he's by far the liveliest wire in Arsene Lupin Returns. 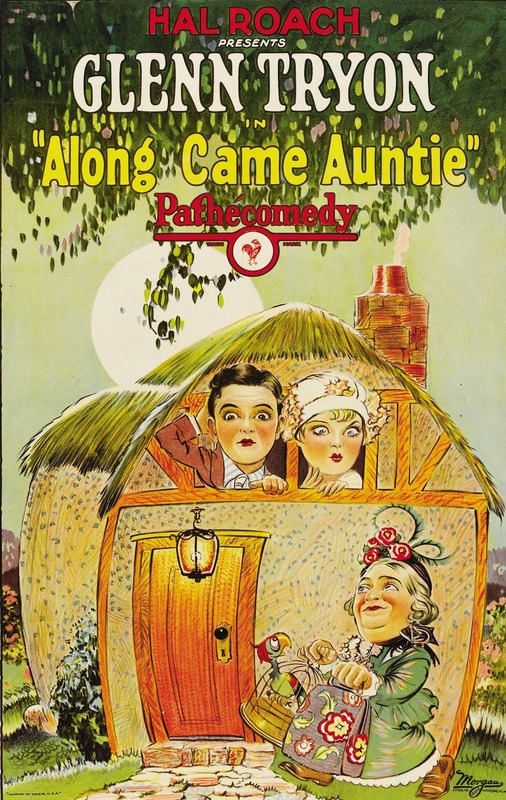 ALONG CAME AUNTIE (1926) --- In this Hal Roach comedy of marital misunderstanding, Vivien Oakland must renounce husband Glenn Tryon in favor of first (later discarded) mate Babe Hardy, said scheme to collect an inheritance from a meddling aunt. 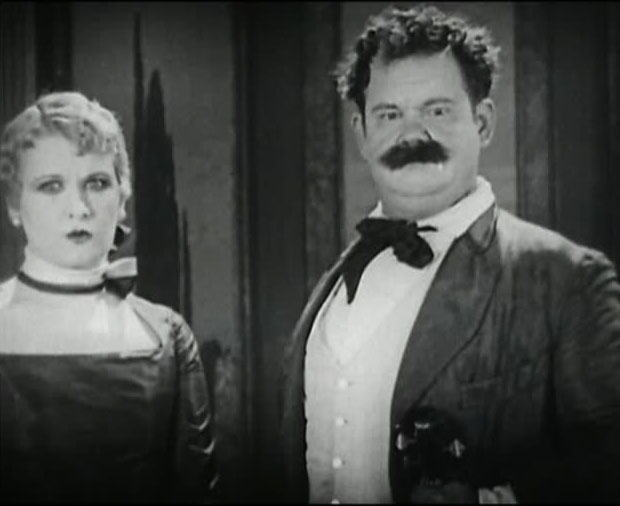 Begins reasonably subtle, plummets from there to violence (more than usual for Roach) and slapstick. Tryon was boyish and positioned to be a next Harold Lloyd. He'd pull his light weight and make minor grade, if not for Roach, then elsewhere in features (Lonesome, Broadway). Vivien Oakland lacked flapper softness, looked formidable enough to go rounds with Dempsey. You'd not call a winner even when burly Babe takes her on. Mildly (and sometimes more so) suggestive gags. Roach kept his comedies clean, but sometimes tickled boundaries. Hardy was at eve of on-screen encountering Stan Laurel, his long-awaited success clenched from there. 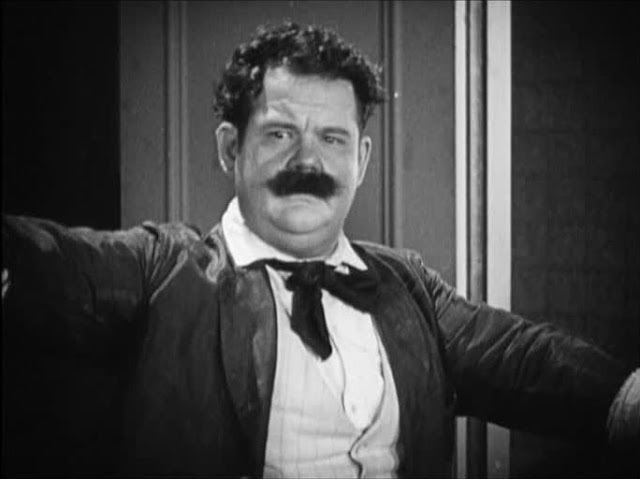 Babe had been steadily engaged at comic villainy and character cameos for a good ten years. He'd be missed in that capacity from time he assumed the Ollie guise for keeps. Laurel eventually took L&H creative reins, but Hardy was the performing whizz. His keen observance of faces and behavior, culled from inveterate people-watching in hotel lobbies and elsewhere, conferred genius on instincts he'd develop. Only reservation I have of him in Along Came Auntie is a bushy mustache that partly hides Hardy expressions. ACA was among "All-Star" comedies Roach did, which meant no real stars, but hopeful all the while that same might emerge from this ongoing series. Indeed, two would when Laurel and Hardy got together. Part of Kino's DVD collection of pre-teaming Oliver Hardy subjects. 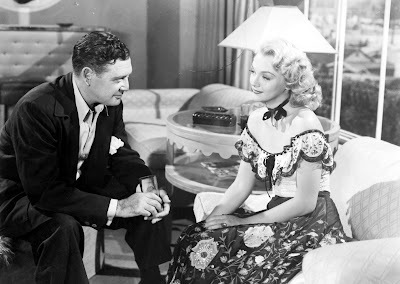 THE HOUSE ACROSS THE STREET (1949) --- Warners could pound a property to pulp for all the remaking they'd do, so no surprise to find this yarn was initially Hi, Nellie from 1934, its Paul Muni lead now inherited by Wayne Morris. Narrative plays out mostly indoors and cheap, which explains WB drawing Nellie frequent from the well. 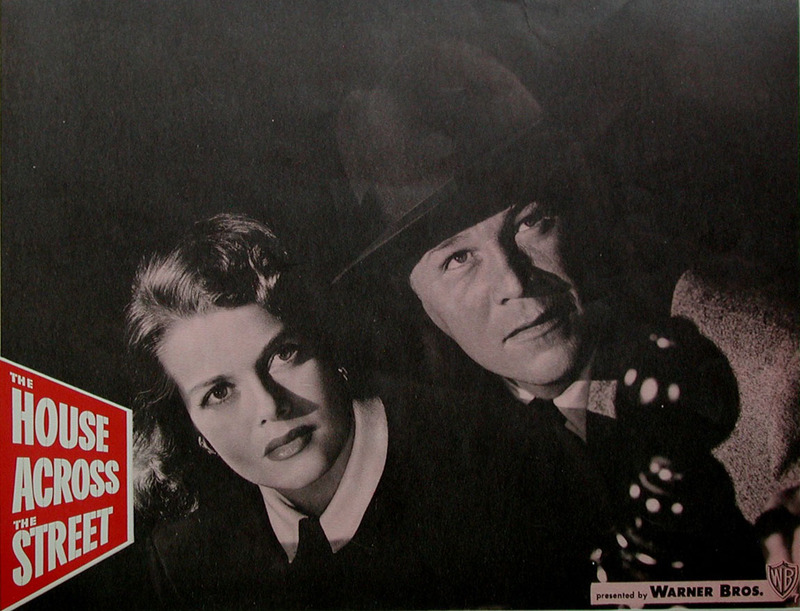 The House Across The Street makes no pretense toward what we define as noir, though Warner Archive labels it so, and since I'm for whatever it takes to get these obscurities released, that's plenty OK. Mystery lite is more descriptive, laffs amidst the (offscreen) bloodshed. Morris comes across goofy as a lead man. You'd not guess he was a real-life air ace in the recently ended war. The story was polished enough before to play well on this (fourth!) go. Excellent quality transfer in accord with Warner Archive standard. I recently watched THE HOUSE ACROSS THE STREET. Started off pretty good for me, but really let off of the gas when it got bogged down in the domestic relationship of Morris and Paige. I have to say it was a disappointment. Re: The Whistler films. I watched, I believe, all of the TCM broadcasts, and I enjoyed them all. More an anthology grouping than an actual series, such as Sherlock and Chan, as no constant character is throughout (I don't count the shadow on the wall and sinister-voiced narrator The Whistler as he is not part of the story). Dix is good in the various parts he played (my favorite being the entry where RD has amnesia) and even the Dix-less feature is entertaining. I certainly agree with you on Hart -- he is terrific. 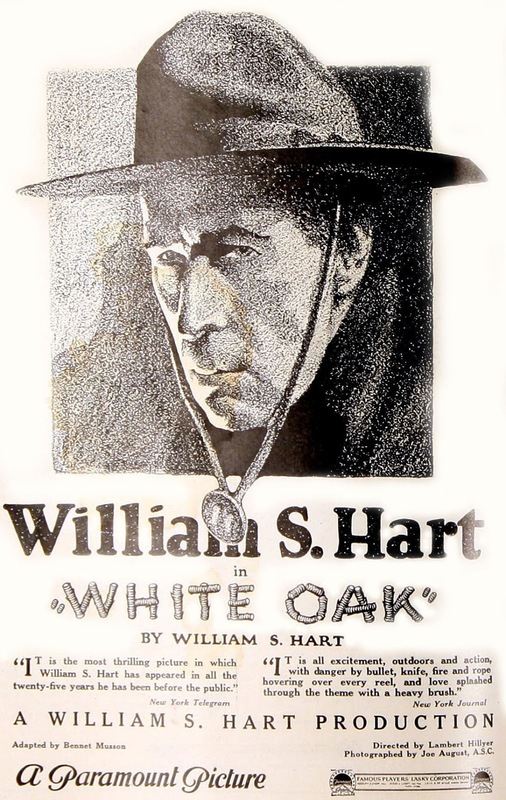 It's a tired trope to say that Hart=the silent Clint Eastwood and Tom Mix=the silent John Wayne, but like many cliches, it has an element of truth. I often thought the Lupin film would've been much better if Douglas and William switched roles! Curious about Big Broadcast -- only 1938 is on DVD, and it's the weakest of the bunch! I think it's one of the Charles McCabe books that has the author watching L&H on TV with Stan. He notices Stan focusing on Hardy throughout, commenting that Babe was a "really funny fellow." Like other movie series, the early Whistler movies are the best. I caught them on TCM, and had the feeling that at least one of the latter entries was just a generic B-movie script that Columbia decided to slip into the series. 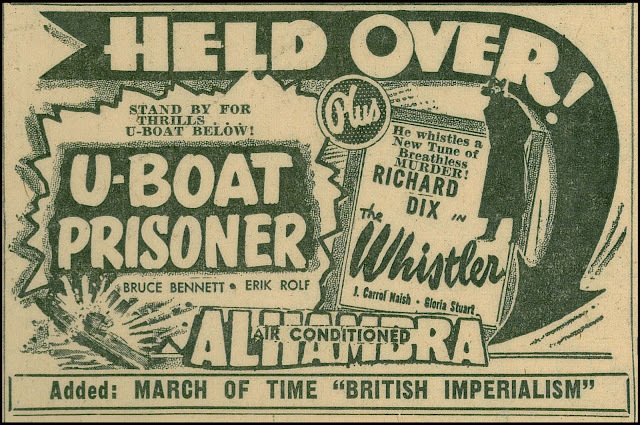 Richard Dix's performances, however, are quite good, even moving, despite playing the bad guy. I wonder if his alleged personal problems gave him insight to his characters. And as for the generic sets -- I always looked forward to the inevitable City Taxi pulling up to the curb. The same one, by the way, in Columbia's Boston Blackie movies. I second your wish for an official release of 'The Big Broadcast'! Clips from it are seen often (most recently in the American Masters special on Cab Calloway) but I have yet to see the thing in it's entirety. I read a while back that Universal was starting a laborious restoration of 'King of Jazz'. Wouldn't it be great to have this one too!